Welcome to the Boosting Engagement Series. In these next few lessons, we are going to cover not only some ways to get more people coming to your blog, but to get the ones that do come to stay longer and become more involved, which is the main focus of this series. Why do you want that? One reason is for ratings. 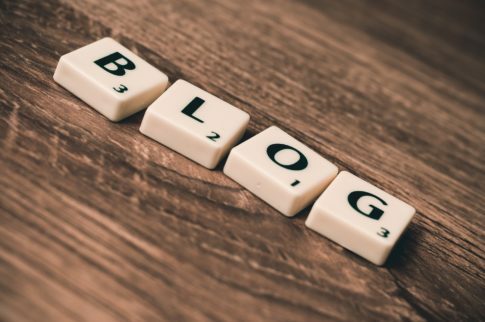 By having people stay longer on your blog, Google’s algorithm interprets it being a good blog and as a result places your blog higher in the search listings. That, in turn, gives your blog more visibility, attracts more people and the process continues. So as a blogger, how do you engage an audience? One of the first things to do is know your audience. It is hard to give an audience what they want if you don’t have a good idea of what they are like, what problems they are searching solutions for and in general who they are. And while you can use plugins like Google Analytics to give you some data, other good ways are to run surveys and polls, challenges, and hang out where your potential audience hangs out. Scouring forums in your niche, subscribing to social media groups, and guest blogging on other people blogs in the same niche are all examples of places to go and things to do that will help you establish a profile of your ideal audience. In the process of setting up your blog, two of the things you want to have in place is your contact information and allowing for comments. The common methods for contact information is to at least have a contact form they can fill out and submit. Many bloggers also include an email address too. As you start attracting people to your blog, many of them will come to you with questions or comments. It could be a something they send in using your contact form in regard to a blog post. Maybe they had a question on something you had said and need further clarification, or maybe they wanted you to know they really liked a particular blog post. And if they email you with a question, that is a perfect opportunity to answer their question by turning the blog post and your answer into a blog post itself. Otherwise only the person that emailed you would see your reply. And if one person has a question, there are probably many more of your readers having the same question. Posting the question and answer benefits everyone, not just the person sending in the email. But what happens if you don’t answer them? They leave! And probably will never come back. However, if you engage them by personally answering every comment and email submitted, they will see that you actually are there to help them and they will not only continue to return back to your blog, but they will recommend your blog to friends of theirs, they come over, thus increasing your blog readership. That in turn leads to more engagement, more readership and the process continues. If you happen to publish a post that ends up going viral, your readership can explode in a short amount of time and all of a sudden, you are seen as an authority in your niche. And it all started because you cared for your audience enough to personally reply back to their questions, comments and concerns. In the next lesson, we are going to look at the value of running a Facebook group in conjunction with your blog.